STROKE LAB is a professional therapy for stroke or neurological disease office located in Ochanomizu , Tokyo Japan. Our treatment is mainly focused on hemiplegia care and physical therapy of neurological bad condition. The unique approach to clients is based on Bobath approach ( patient education, manual manipulation, sensory input, massage, various exercise therapies and more) to promote healing of the bad sensory or paralysis and improve the physical balance. 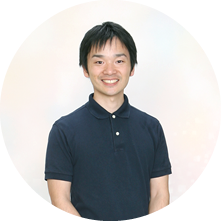 Tadafumi Kaneko, internationally educated and licensed in Japan, has the technical background of neurological treatment in an Juntendo university hospital for 10 years. He has experienced 100-200 neurological cases every year, including the most serious stroke and parkinson disease, from both medical and body therapy point of view. He has translated several English books on therapy into Japanese, and now writing his own original book on therapy for patients of stroke and neurological disorder. If you have any questions or would like more information about our treatment, please call us or send a message from our contact form. We can communicate in both English and Japanese.